Proline FC were subjected to a first loss in the 2018/19 FUFA Big League season, going down 2-1 at home to Kiboga Young. 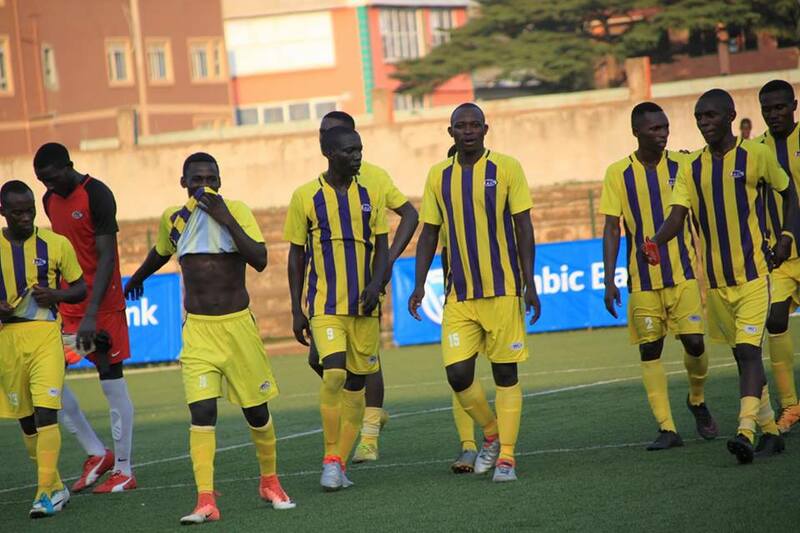 In the game played at the StarTimes Stadium, Brian Mugume and Isaac Otto scored in each half to give the League debutantes a huge win in their race to gain promotion to the top tier. For Proline, sabstitute Ismail Kabugo scored their only goal late in the game. Mugume headed home the opener past goalkeeper Saidi Keni in the opening half of the well-attended game for the visitors to take the command. Isaac Otto’s sublime finish off Peter Lumolo’s cut back with 20 minutes to the end made it 2-0. Proline’s second half substitute Ismail Kabugu pulled back a goal with 10 minutes to play off Hakim Kiwanuka’s inviting ball inside goal area to create a tease finish to the game. Despite late pressure by Shafick Bisaso’s side to try and salvage at least a point, Kiboga Young held onto the nerves to register a famous win. Kiboga’s victory ends Proline’s unbeaten start to the League and thus, they (Kiboga) remain the only unbeaten side in the Rwenzori group. Kiboga now have 20 points from matches and currently top the standings, while Proline slip into second, a point less than their Thursday opponents. Meanwhile, in the other matches played in the Rwenzori Group, Kabale Sharp piped Ntinda United 1-0 at the Mutesa II Wankulukukuku Stadium, Kansai Plascon out-muscled Kireka United 3-0 while Bumate United failed to travel to the Katushabe play-ground in Masindi for their engagement against debutants Doves. In the Elgon Group, leaders Wakiso Giants edged Nebbi Central Central 2-0 at the Kyabazinga Stadium in Bugembe. Abdul Karim Kasule put Ibrahim Kirya’s side in the lead after 12 minutes before Muwada Kateregga sealed the points with a second on 83 minutes. Victory for Wakiso means they maintain top spot in the Elgon Group with 16 points from their first 8 games having won 4 and drawn as many. For Nebbi, they drop into 9th having accumulated 7 points from their first 7 games. At the Emokori Play Grounds, Bukedea Town Council shared the spoils with visiting Entebbe in a one all stalemate while Kyetume defeated Doves All Stars 2-0.